Ramanuja’s interpretations of the Sanskrit verses proved that he had the potential of being a good commentator. 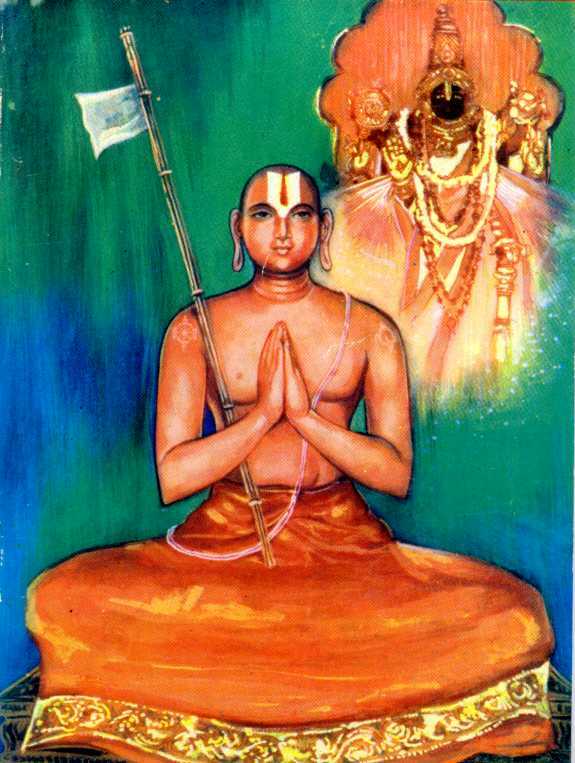 Ramanuja got married at the age of sixteen even as his intense yearning for knowledge continued. One day his 'yearning' took him to the doorsteps of a renowned scholar of non-dualism - Yadavaprakasa. One afternoon, when all other students but one had gone for their midday meal, Ramanuja sat down to give his guru a refreshing oil massage. The boy had stayed back because he wanted to clarify a doubt. During the class he had failed to understand a sentence from the Chandogya Upanishad. 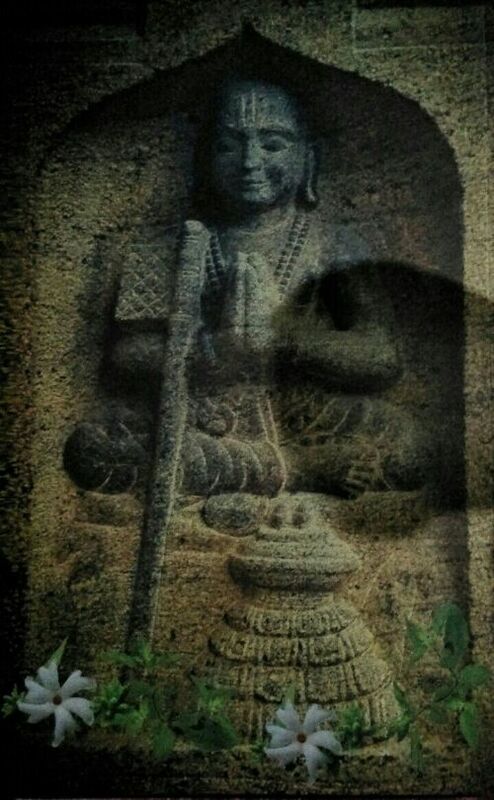 The Sanskrit sentence ran thus - “tasya yatha kapyasam pundarikam eva akshini.” On the lines of the great Advaitic exponent Sankaracharya, Yadavaprakasa explained that the above phrase could be interpreted to mean as follows - The eyes of the Lord are like two lotuses that are in turn like the posterior of a monkey. The rather inferior nature of the simile grieved Ramanuja intensely. Tears rolled down his eyes and fell on the thighs of the teacher. Surprised, Yadavaprakasa looked up. Ramanuja explained: “Sir, how can you compare the eyes of God, who is the repository of all the beauty in the universe, with the posterior of a monkey?” Yadavaprakasa bristled with anger at being contradicted and responded: “Well, do you think that you could do better than the great Sankara?” “With your blessings sir, everything may be possible,” replied Ramanuja without even the slightest trace of pride and proceeded to explain the phrase word by word. 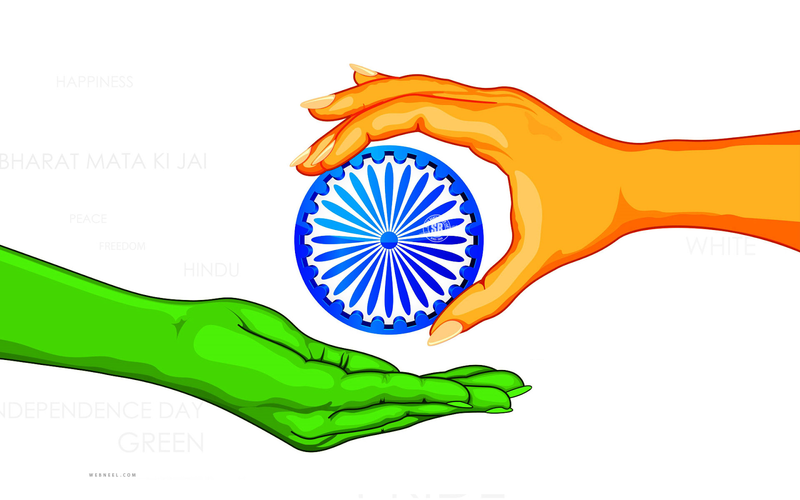 “The Sanskrit word Kam also has the meaning of water. That which drinks water is(Kam pibati iti) kapih , which means the sun. Asa can be interpreted to mean blossomed. Therefore kapyasam can be interpreted as blossomed by the sun and the entire phrase can be interpreted (as the eyes of that Purusha within the golden solar orbit are as lovely as the lotuses blossomed by the rays of the sun). Yadava was taken aback by this interpretation but nevertheless praised him saying that while this was only a derived meaning, it did display that Ramanuja had the potential of being a good commentator. But this different approach to the interpretation of the Vedas and other sastras, between the teacher and the student, seemed to occur frequently. It made Yadavaprakasa feel resentful and insecure. One day he took the ultimate step. He decided to get rid of his disciple. A master plan was hatched and ironically the setting of the murder plot was a pilgrimage. Ramanuja's cousin Govinda, Ramanuja and several other students were all part of the entourage of Yadavaprakasa. Within a few days of journeying on foot, the pilgrims arrived at a rather unfrequented place at the foot of the Vindyas. The forest was dense and frighteningly lonely. Yadavaprakasa zeroed in on this spot to carry out on what he thought was ‘the quelling of a foe.’ Strange are the ways of God when he decides to protect His devotees and this was what happened. Govinda somehow got wind of the plot. Deeply disturbed, he warned Ramanuja and persuaded him to leave the group before it was too late. Secretly happy that Ramanuja must have fallen prey to some wild animals the guru outwardly manifested grief. The eighteen-year-old Ramanuja had disappeared into the darkness of the night, the unshakeable faith in Lord Narayana infusing immense strength in him. Overpowered by mental and physical exhaustion he slipped into blissful sleep. It was the afternoon of the following day when he woke up. He was now in for a surprise. A fowler couple approached Ramanuja. The wife asked him, “Dear child, where do you come from?” “From Kanchipuram” replied Ramanuja. “I have lost my way and do not know how to get back.” “Ah, as luck would have it we are also on the way to Rameswaram but via Kanchipuram. Would you like to travel with us?” the fowler couple extended an invitation. The journey proceeded smoothly and slowly the evening faded into night. The next morning the trio, in search of water, reached a well. The fowler’s wife was acutely thirsty. Ramanuja descended the steps of the well and brought up three handfuls of water for the wife to drink. Finding that her thirst was not quenched, he went down the steps for the fourth time but when he climbed up he was in for a shock. Mother Kantimati was both elated and shocked at seeing her son come back soon. “But where is Govinda?” She was puzzled. Shock turned into disbelief when Ramanuja related to her his travelogue. Three months later, Yadavaprakasa returned to Kanchipuram and was stunned to see his supposedly dead student hale and hearty. However he feigned great joy on seeing Ramanuja and gave a detailed description of their journey. One incident of interest to all of them was that on one occasion when Govinda was having a bath in the Ganges, he secured a lingam. On the advice of his teacher, he accepted it as a divine command from Siva to worship him and settled down at Sri Kalahasti to devote himself to spiritual pursuits. Days passed and Yadavaprakasa saw no signs of resentment or revenge in the attitude of Ramanuja though he guessed that Ramanuja knew of the truth behind the whole farce that had happened. He now naturally warmed towards him and one day invited him to resume his studies with him. It was at this point in time that the ageing guru Alavandar, who had come to Kanchipuram, chanced to see Ramanuja. 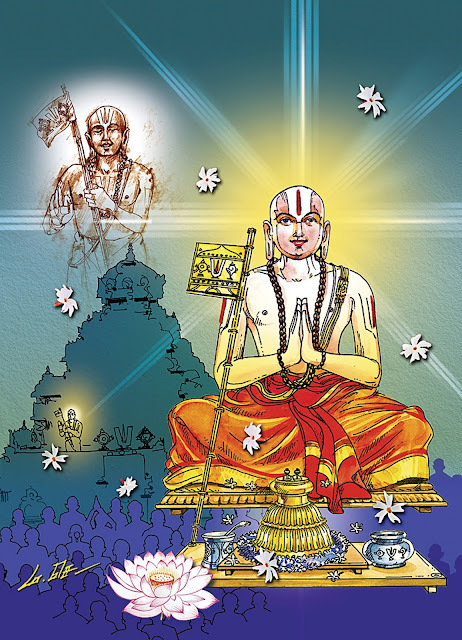 Alavandar, also known as Yamunacharya the king turned saint, was one of the foremost teachers of the Sri-sampradaya. The sight of the young lad infused joy in the old man who desired that if Lord Varadaraja wished, Ramanuja would become his disciple. while Yadavaprakasa no longer bore any deep resentment against Ramanuja, there was a basic doctrinal difference between the two and one day the inevitable final break came that resulted in a whole new chain of events. The inferior nature of the simile grieved Ramanuja intensely. Tears rolled down his eyes and fell on the thighs of the teacher. (Excerpts from an article published in Nrisimhapriya dated May 2003. Details associated with the formative years of the preceptor have been recaptured for the benefit of Friday Review readers. ).